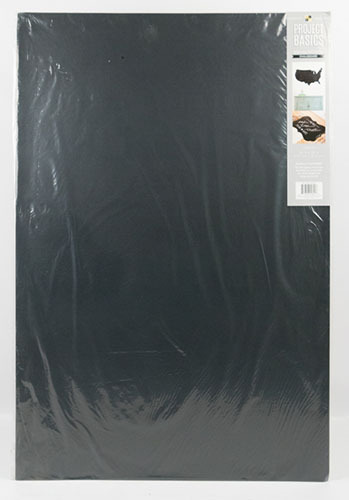 The 24”x36” sheet of chalk paper, one of a handful of similar-sized products being released from DCWV, is a must for all oversized projects as well as multiple smaller ones. Use it to create a set of cards, a unique wall art piece, prized place mats, a family menu and more! This product is available at Jo-Ann Fabric and Craft Stores®. The sheet comes wrapped on a cardboard insert, perfect for creating a go-to template for this and other oversized projects. It also creates an easy storage solution until the sheet has been used completely. If you want to keep the chalk designs you’ve created on the paper, use a fixative to hold it in place.